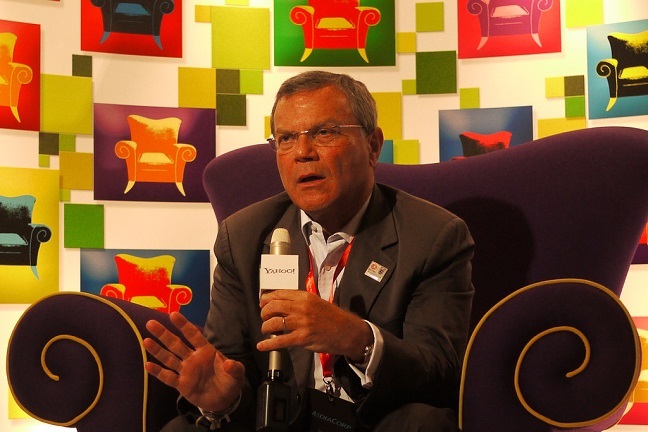 Sorrell's hasty, late-night departure will leave a significant hole. If you ever need a clue as to whether a departing CEO jumped or was pushed, look at the timing of the announcement. Sir Martin Sorrell's immediate exit from WPP was made known at 10.15pm on a Saturday night. Enough said. In his parting statement, Sorrell used the dignified words of one falling on their sword rather than reaching for the knives in their back. While he was ‘obviously’ sad to leave the firm after 33 years, ‘the current disruption is simply putting too much unnecessary pressure on the business,’ he said. We may never know for sure whether the disruption he’s referring to was really the main reason for his departure: WPP isn’t planning to reveal the details of the internal investigation into its founder over alleged misconduct, which Sorrell has always denied. Some have viewed the scandal merely as hastening an overdue exit, citing WPP’s poor performance last year and the increasingly disruptive effect of Facebook and Google on the company’s traditional business model. But Facebook and Google are hardly new factors in the ad game. They’ve been eating traditional agencies’ lunches for at least a decade, yet until 2016 WPP had enjoyed five consecutive years of record results, where it at least matched its two major global rivals in growth and profitability. It’s true that sometimes you need fresh blood. But the notion that Sorrell somehow isn’t up to the digital era verges on ageist. The man lives on his mobile – indeed, he’s famed for his near instant replies to emails, at any time of day – and has steered his company at least as ably as his rivals in recent times. Sorrell’s genius perhaps wasn’t technological – it was herding creative cats, imposing financial discipline and aligning them to the company’s strategy, a task that will be just as necessary during the fourth industrial revolution as during the third. Of course the board will find someone eminently qualified to steer WPP over the next, difficult years. But it seems somehow unlikely that it will find a leader with the same drive and vision as its founder. The company – if it remains intact – will surely miss him.